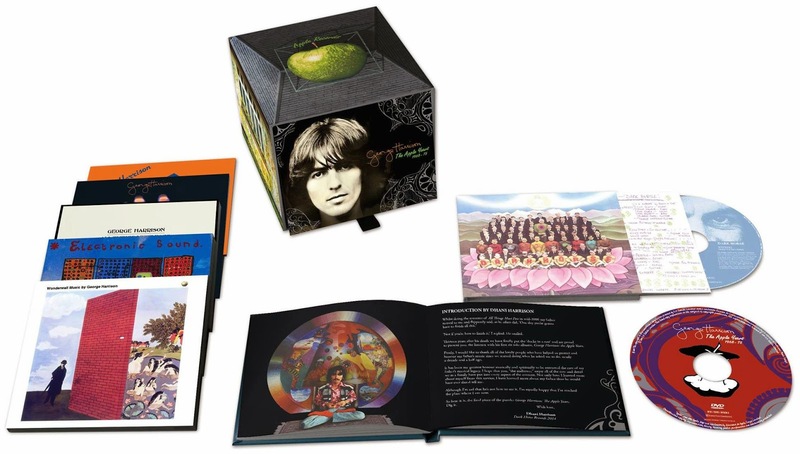 As well as cover art and a picture of the contents of what’s inside the new George Harrison box set The Apple Years 1968-75, the release is now appearing for pre-order on both the UK Amazon and US Amazon sites – with September 22 and September 23 release dates respectively. Confusingly the US Amazon site has the heading The Apple Years [9 CD Box Set], but below that in the “Product Details” section it says: Number of Discs: 7 …. which makes us think that to get to the number nine they’re counting the three CD’s which will be inside All Things Must Pass. If you click on the box set contents photo above to enlarge it you’ll see that ATMP comes in a faithfully replicated box, just like the original LP. If that’s the case then we can expect two CDs with orange Apple labels to be in there, plus a third CD which on the custom “Apple Jam” label – and that these will all be housed inside individual coloured inner sleeves. There should also be a great little replica poster of George Harrison in there as well. From what is shown above it’s clear that the Dark Horse CD has been similarly faithful to its original 1974 LP release. It will come in a gatefold cover with all the inserts, and will replicate the label styles from that LP on the CD. It all looks to have been very nicely done. 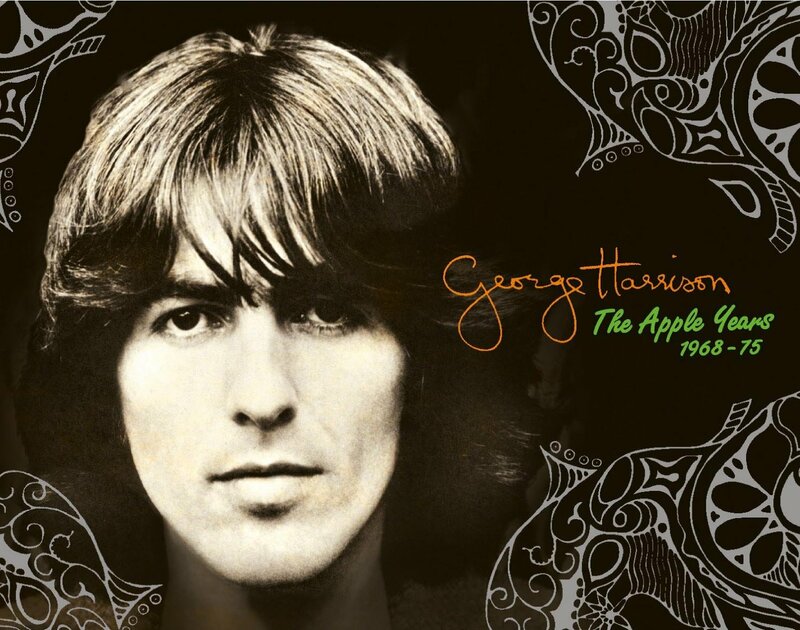 This entry was posted in Apple Records, Beatles, Beatles Collecting, Beatles Music, George Harrison and tagged Apple Records, Beatles, Beatles Collecting, George Harrison, The Apple Years by beatlesblogger. Bookmark the permalink.